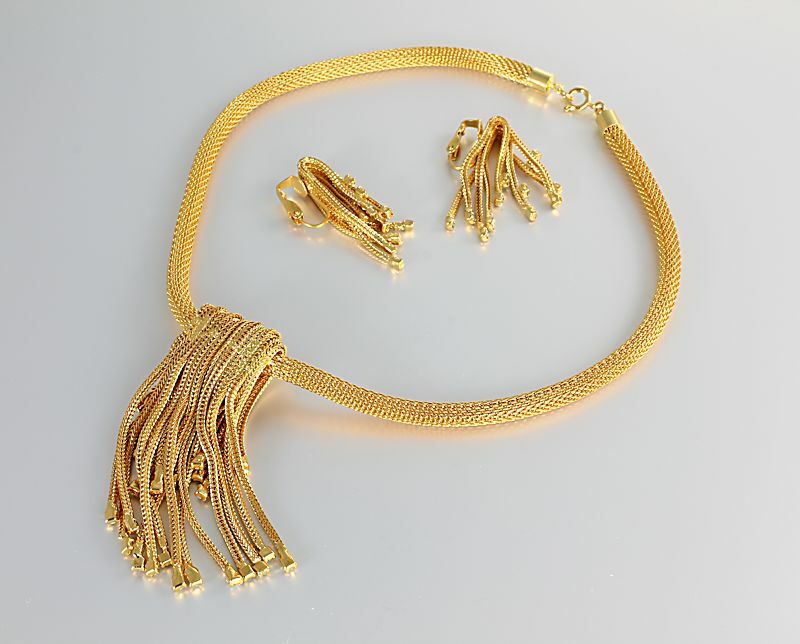 Unsigned Hobe mesh and rhinestone set. 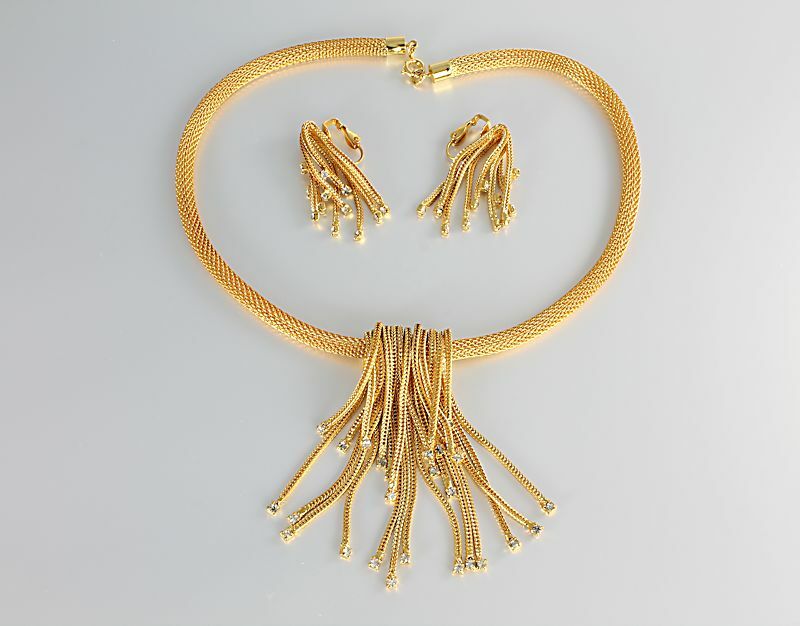 It consists of matching necklace and earrings with a flowing cluster of draped fringes made of foxtail chain. 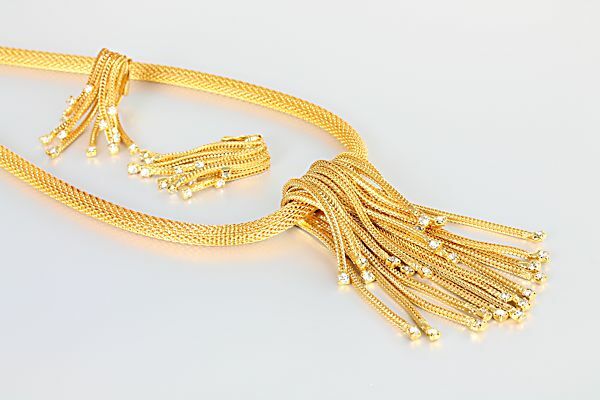 Each section of chain is accented with a clear chaton. Clip on earrings measure 1 5/8 inches in length and 3/8 inches in width. 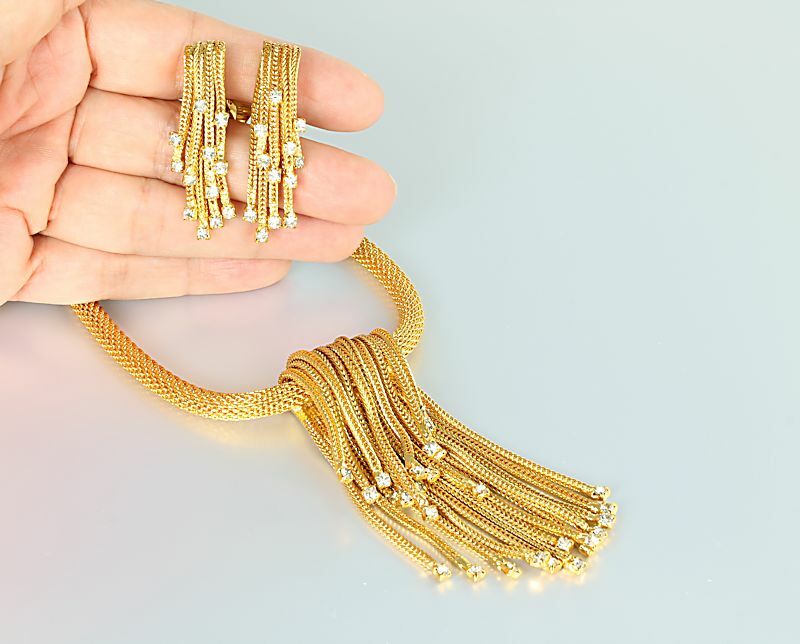 Necklace has a wearable length of 16 inches. Center piece measures 2 1/2 inches by 1 inch. Set is in excellent vintage condition. Superb quality ad most elegant appearance.